Shlomo Rindenow could have stayed in college in New Jersey and kept on working at Bagel Munch in Passaic, but he decided he had to serve the State of Israel and the Jewish people. He made aliya two years ago, studied Hebrew at an ulpan in the Galilee, volunteered as a dog trainer for rescue missions, and a year-and-a-half ago joined the IDF. 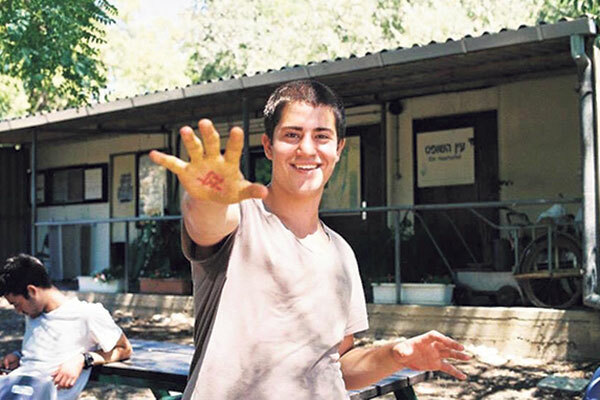 Rindenow, 20, died July 17 in an apparent grenade accident at a checkpoint in the Golan Heights. The details of the incident were still being investigated at press time, but the driver of an IDF jeep, 24-year-old Husam Tafash of the Druze village of Beit Jan, approached Rindenow’s checkpoint carrying a grenade that exploded, killing both of them. When the commander of the jeep, who was wounded in the incident, came back to consciousness, the first words he wrote were: What happened to Shlomo? Rindenow’s parents, Mordechai and Mindy, came from New Jersey for the funeral, which took place at a cemetery outside the central Israel communities of Yesodot and Netzer Hazani, where Shlomo’s brother Akiva lives. Some 2,000 Israelis attended the funeral, after his brothers called upon Israelis to attend and pay tribute to Shlomo. Akiva said he last saw Shlomo when he visited him after he temporarily left the army because he had appendicitis. Shlomo suffered from the ailment for two weeks before he reported that he was ill, because he wanted to continue to serve. No one in Rindenow’s family was surprised when he chose to follow in the footsteps of his older brothers and join the IDF. It was a challenge, however, because even though he was born in Israel, he left for New Jersey with his family when he was three and did not know Hebrew. As a lone soldier, Rindenow was given an adopted family, who took him in like a son. The Schoop family of Kibbutz Sde Yoav took care of him and respected his needs as an Orthodox Jew, even though they and the kibbutz are not religious. Alon Schoop said he and the other members felt as if they had lost a son. The mix of religious Israelis from Rindenow’s family, secular kibbutzniks, and people who came simply to honor a lone soldier gave the funeral an Israeli feel of support and solidarity. Mordechai Rindenow told the crowd that it was the second death in his family in six months. When he visited Israel for Hanukka, his mother died in the United States, and now he came from New Jersey for his son’s funeral. A source close to the family said they were waiting for more information from the investigation and were hoping that the soldiers wounded in the explosion would help put the pieces together. An IDF source told NJJN that preliminary investigations have found it likely that the incident was indeed an accident, saying there had been no problems with Tafash and that he most likely put the grenade in his vest in the wrong direction and took it out the wrong way, causing it to detonate. Zionist Union Knesset Member Itzik Shmuly, who heads the Knesset’s lone soldiers’ caucus, said Israelis feel the pain of the loss of the two soldiers and embrace their families. “Shlomo’s loss is a painful reminder of the tremendous contribution that lone soldiers have made to the IDF and how much more we should be doing for them,” Shmuly said.